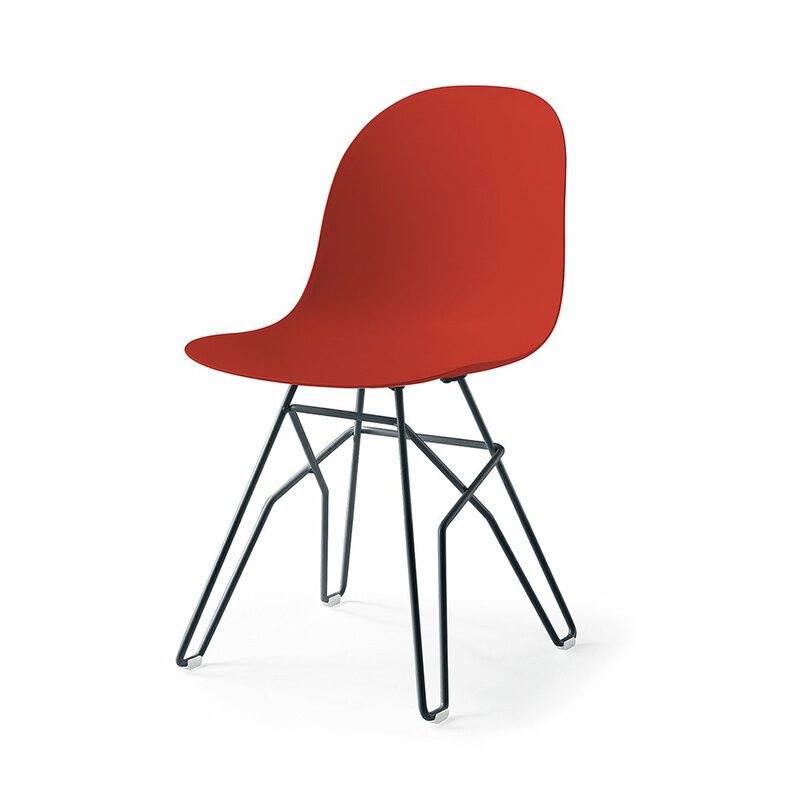 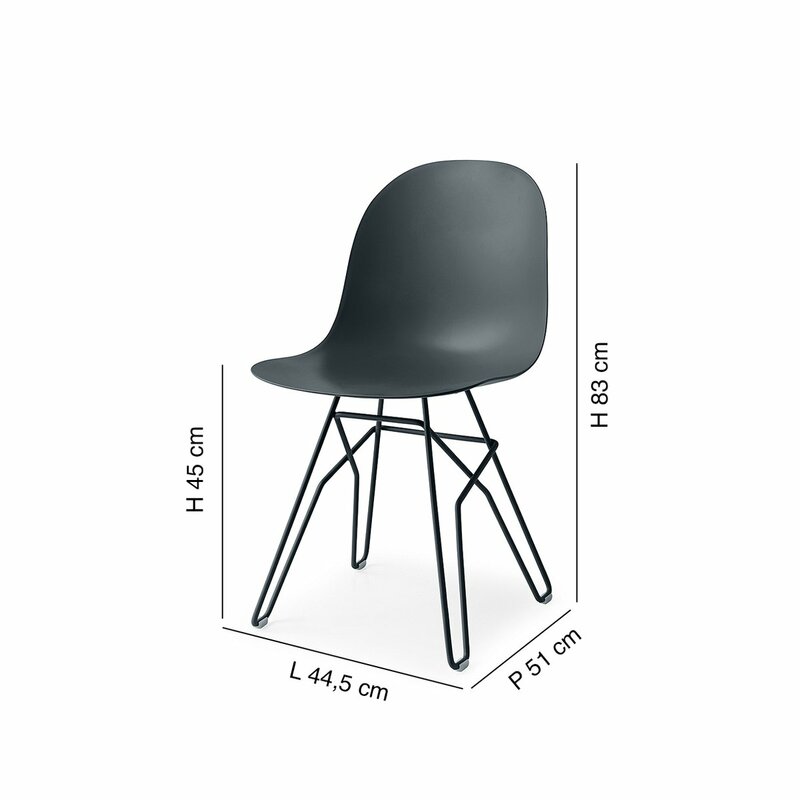 Among the various chairs proposed by the brand Connubia there is Academy, a comfortable chair with a particular design. 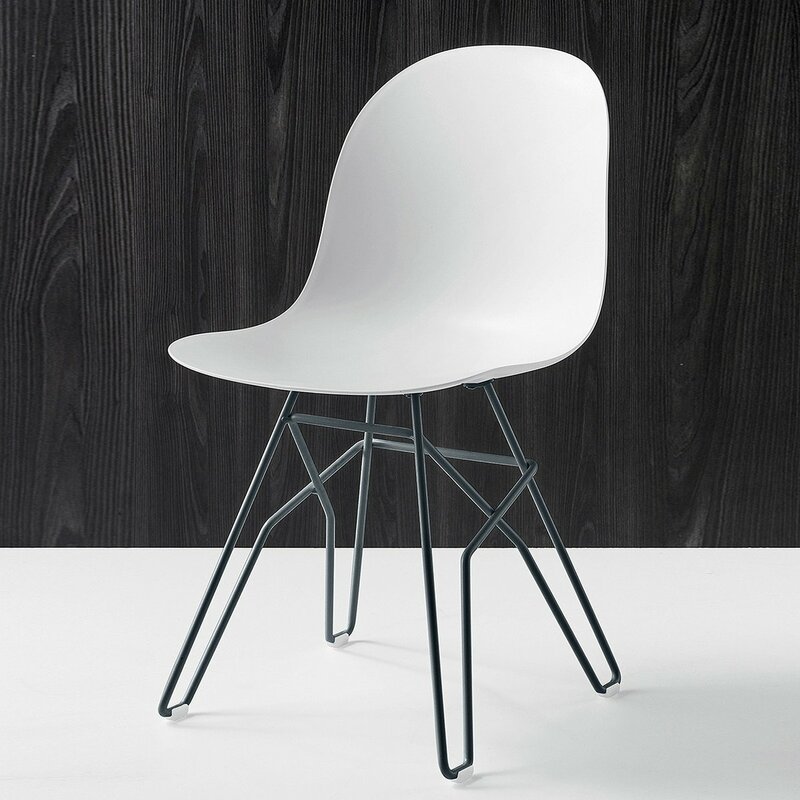 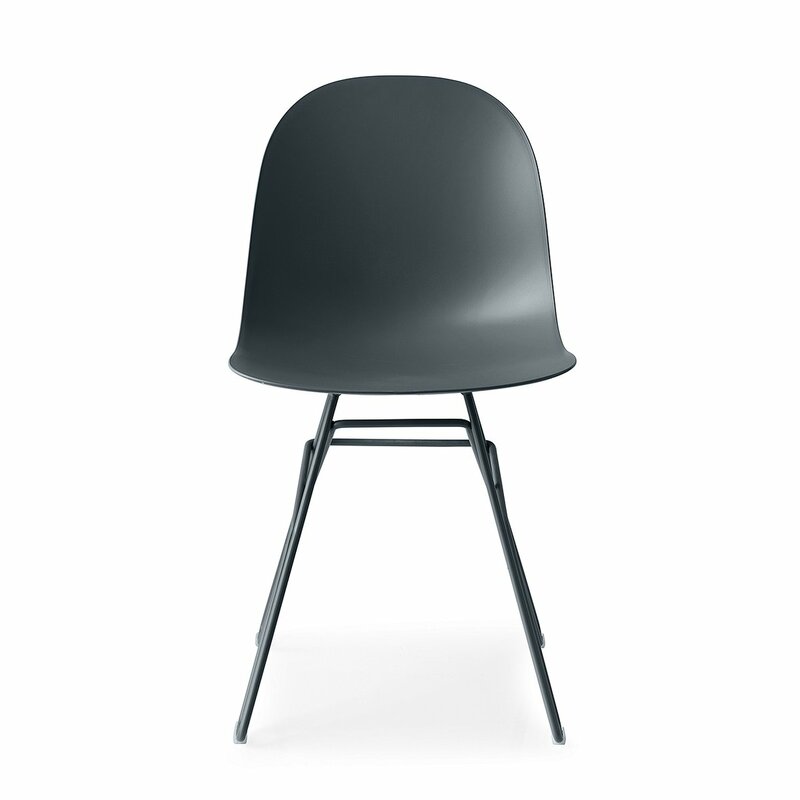 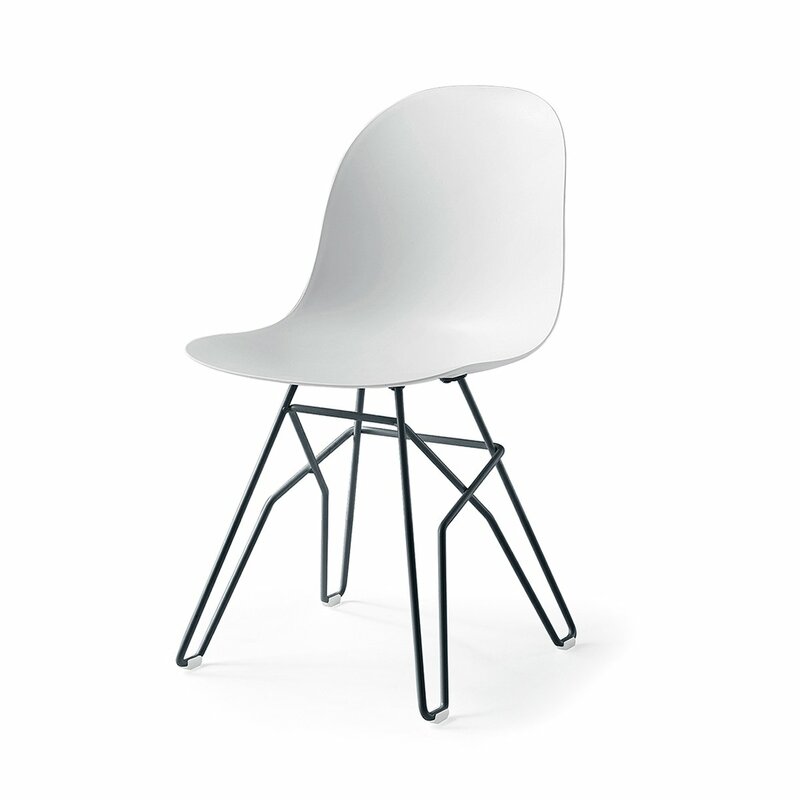 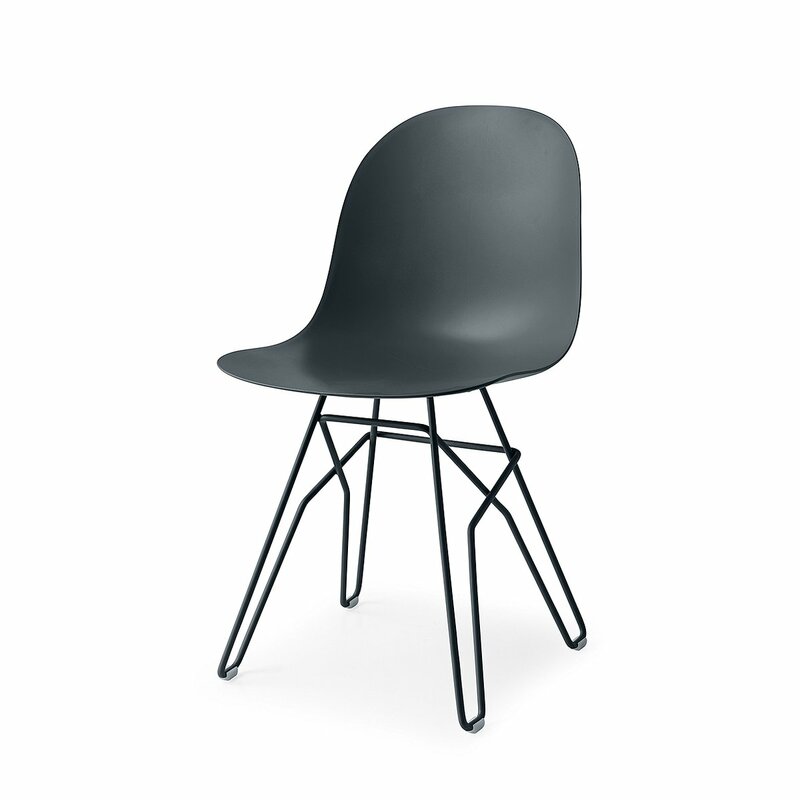 Academy is in fact made with a polypropylene shell (structural composite polymer with mineral filler) co-injected with 35% recycled material, supported by legs in woven matte grey metal rod. 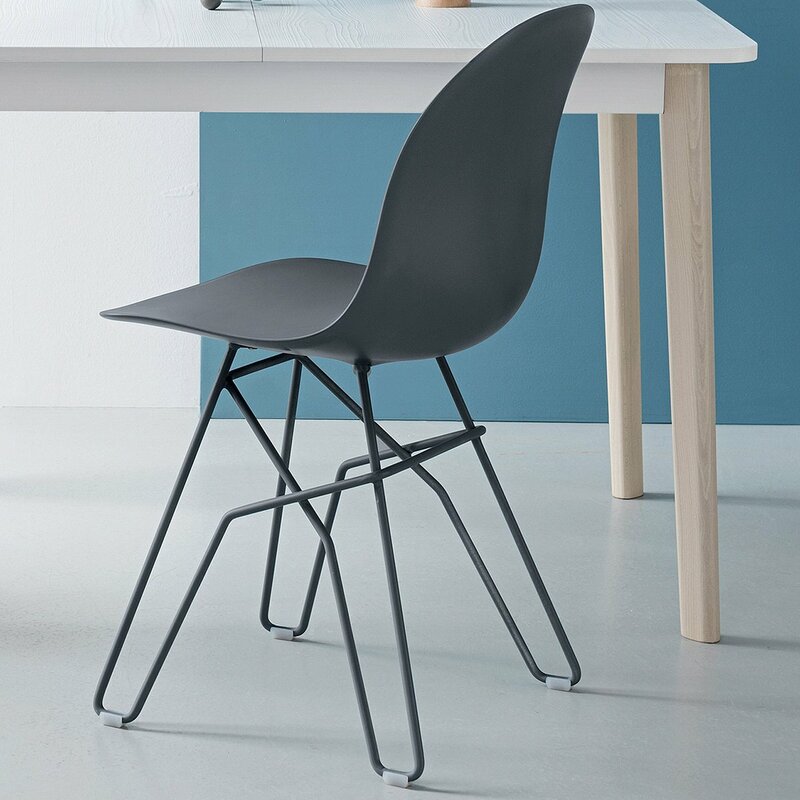 Available in different colours, the shape of the seat represents a search for simple and sinuous shapes suitable for any environment and situation.